Fill yourself with knowledge, information, facts, figures. They give you stability in this world. When you become light, wisdom dawns. From knowledge to knowing is a journey from gathering to gratitude. There are many pages of knowledge on the world wide web. Some are in this website. Take a look and then if you need help to absorb or let go, contact. 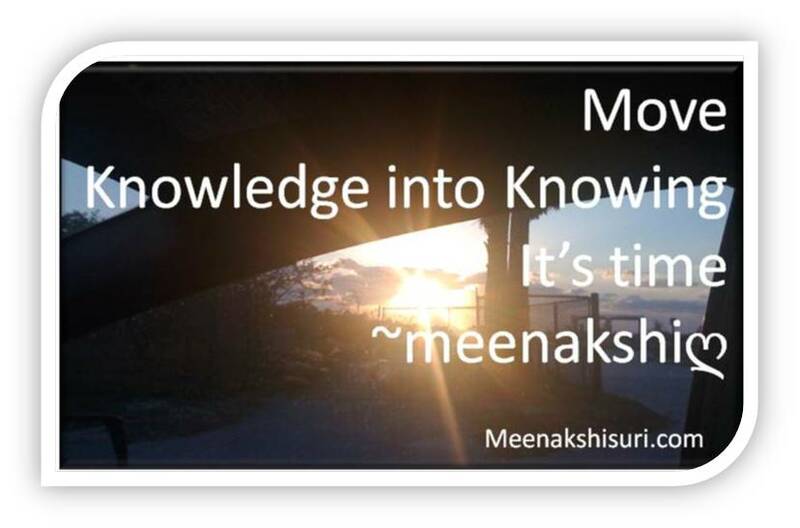 Posted on May 27, 2013 May 26, 2013 by Meenakshi ~ Journey In WholenessPosted in Healing MessageTagged absorb, gather, knowing, knowledge, knowledge to knowing, let go, wisdom. Previous Previous post: All things and beings – meditate!